If you are thinking of coming to China to Learn Chinese in Shanghai, We think you’re making the right choice. Not only because Shanghai is the financial center of China, where numerous job opportunities are open to you, but also because people from Shanghai are known for their open-mindedness, which means they are eager to know more about different cultures and willing to make new friends. China’s financial center: Bearing in mind that Shanghai is one of the most vibrant cities in the world, more and more foreigners start looking for job opportunities in ShangLujiazui, Shanghai has. Indeed, being the financial center of China, Shanghai welcome people from all over the world to contribute to its fast-paced development. If you choose to learn Chinese in Shanghai, you’ll definitely have the chance to practice what you’ve learned in class with your colleagues at work. Convenient Transportation: In Shanghai, you can literally go anywhere by subway as Shanghai has an extended metro network. At the present time, it consists of 16 metro lines with a total length of 620km. Ticket price is also fairly low, it ranges from 3RMB (0.44USD) to 14RMB (2.04USD) depending on the distance. Safety: If you decide to learn Chinese in Shanghai, safety is guaranteed. Statistically, Shanghai is one of the safest cities in China and is ranked 30th in the world for safety. In addition, local people in Shanghai are always ready to offer help to tourists and foreigners. Sightseeing: In Shanghai, they’re some tourist hotspots that you wouldn’t like to miss. If you are into traditional Chinese architecture, Yu Garden and Zhujiajiao Ancient Town are the places worth visiting. If you like hanging out with friends on Friday and Saturday evenings, then Xintiandi, the fashionable pedestrian zone located in the center of the city, where western-style cafes, bars, and restaurants can be seen almost everywhere, is the right place to go. Overpopulation: a Huge population is one of the problems Shanghai is facing at the moment. Shanghai’s permanent population has exceeded 24 million, which certainly has a negative influence on the city’s traffic condition. Therefore, in order to avoid being late, you’d better allow enough time on the road. Moreover, a large population means you’ll need to queue every time you want to buy a tube or train ticket. High Cost of Living: Shanghai is one of the most expensive cities in China. If a foreigner is studying or work in Shanghai, he would choose to rent a room in a shared flat in a relatively convenient area. The monthly rent for a single room varies from 3500RMB to 6000RMB (511USD to 876USD) depending on the location, which is not cheap. Besides, dining in an average western restaurant can sometimes also cost you a lot of money. If you want to find out more about housing prices in Shanghai check out ‘Quick Facts About Housing Prices Shanghai‘. That’s Mandarin specializes in teaching Mandarin Chinese language with schools in Shanghai, as well as online. Established in 2005, That’s Mandarin welcomes over 3000+ students every year from various countries and help them achieve their learning goals using effective in-house developed teaching methods such as Link Word and Story Telling. Students also have access to That’s Mandarin’s online integrated learning platform called Smart Lingo to complement their in-class lessons. 1. That’s Mandarin offers various language programs to help you learn Chinese in Shanghai that can be tailor-made to students’ needs and interests: Intensive Chinese 1-on-1 & small group class, Part-time Chinese 1-on-1 & small group class, Business Chinese, etc. In June 2017, That’s Mandarin Shanghai campus opened its brand new office next to Jing’an Temple, which aims to provide students with an even more conducive and comfortable learning environment. Shanghai Jiaotong University: One of the top universities in Shanghai and China. Located in Xujiahui, a central area of Shanghai, Shanghai Jiaotong University offers high-quality Chinese classes for students who prefer to learn Chinese in Shanghai in a convenient location. Donghua University: One of the most popular universities for Chinese learners in Shanghai. The University is located in West Shanghai and is not far from Hongqiao airport. The university has all the necessary facilities available on campus to offer students an enjoyable and efficient learning experience. East China Normal University: Being one of the most prestigious normal universities in China, East China Normal University has a high reputation in Chinese language education. The University has established partnerships with different institutions and organizations across the globe for cultural exchange. Chinese Summer Camp: Chinese Summer Camp (for children aged 8-17) is designed to introduce and strengthen kids’ understanding of the Chinese language, culture and history through interactive Chinese lessons, cultural activities and exciting field trips to some of the best sites in China. Five types of Camp Program (Class-only Camp, Day Camp, Full Camp, Homestay Camp and Family Camp) are on offer, and kids can choose to join one of our two-week and four-week programs. Chinese Summer Camp starts on June 12th and ends on August 20th. Confucius Institute: The Confucius Institute Summer Camp Program is organized jointly by Confucius Institute Headquarters and Office of Chinese Language Council International (Hanban). 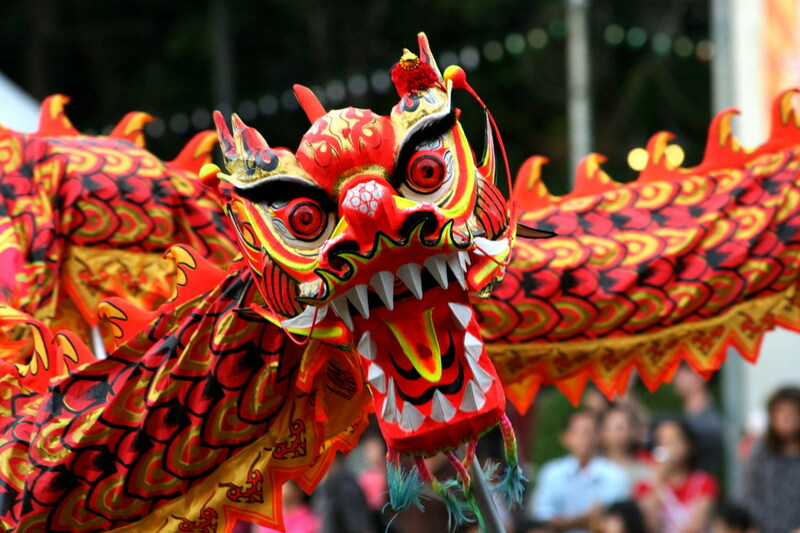 It offers pupils good opportunities to experience authentic Chinese language and culture. In Shanghai, the Confucius Institute Summer Camp Program is often operated jointly with top universities in Shanghai, such as Shanghai University, Tongji University, etc. In addition to studying Chinese, pupils can also visit tourist attractions in Shanghai and make new friends. China School Trip: China School Trip has 9 years of experience organizing school trips for kids and teens. Three types of school trips are on offer: 1) Play & Explore Trip, which includes a mix of sightseeing tours and cultural activities with plenty of play and a lot of exploration in Shanghai; 2) Learn, Play & Explore Trip, which is an all-in-one trip that includes similar amount of Chinese lessons, cultural activities and field trips in Shanghai; 3) Intensive Chinese Study, which focuses on in-class Chinese lessons and cultural activities, with some sightseeing field trips in Shanghai. 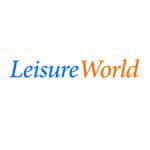 Leisure World Education Tours: Leisureworld is a school travel specialist that provides students quality educational school trips across the globe including the USA, China, Australia, etc. The two main destinations in China are Beijing and Shanghai. Leisureworld’s school trips are tailored to suit students’ educational requirements. There are different subjects on offer, such as history, art, and geography, students can choose which subject they are interested in. If you choose to learn in Shanghai you’ll have a lot of chances to practice Chinese with local people and this will indisputably allow you to quickly improve your Chinese language skills and help you ace in your Chinese learning journey. Choosing to learn Chinese in Shanghai is a big challenge for a foreigner, therefore we would like to recommend the above schools to help you get the most out of your time in Shanghai. Want to find out about more cities you can visit to study Chinese while in China? Click here to read the pros and cons of the best universities, private schools and Summer Camps in China. Want to Know an Easy Way To Get A Chinese Student Visa? The easiest way is to sign up for the Chinese Visa Program at That’s Mandarin. This program is created for foreigners who want to experience the Chinese culture, travel within China and study Chinese at the same time. It’s a program designed to make it easier for you to reach your Chinese goals. If you choose to come to China to study or work, one of the most important things you need to do at the first place is to purchase an affordable, but meanwhile also reliable health insurance. From this perspective, without purchasing a health insurance, living in China is obviously more “risky” than living in your own country because here in China you are not covered by the local welfare system. Below you will find answers to some frequently asked questions related to health insurance in China. You can Study Chinese in China from 1 month to 1 year and choose between 20 – 160 Chinese Classes with us while living and traveling in China. This will give you enough time to experience the Chinese Language in an intensive and immersive environment! Taking a Chinese course in China is a huge commitment, so we recommend our intensive Chinese course China. Here are some answers to questions you might face when beginning your journey. HSK is China’s only standardized test of Chinese language proficiency for non-native speakers. The test was initiated by Beijing Language and Culture University and is now held annually in different cities in China and overseas. HSK is available both online or in a paper-based format, and it’s administered in simplified Chinese characters. More and more foreigners start to show an interest in taking the HSK test, we are here to provide you with detailed answers to some frequently asked questions related to HSK. Free Colloquial Chinese Lessons with Audio: 30 Colloquial Chinese Phrases that can be used by Beginners – Advanced Chinese students. What is HSK and why is it important? The HSK or 汉语水平考试 (hànyǔ shuǐpíng kǎoshì) is an official examination designed to assess the Chinese language proficiency of non-native speakers from beginners’ to advanced levels. It is an internationally-recognised standard in assessing your Chinese language level and the result can be used to apply for the Confucius Institute Scholarship (CIS). It is also accepted by universities in China as a proof of Chinese proficiency. Read More – Is The HSK Exam Right For You?